Welcome to For Ballet Lovers Only. It offers a selection of my ballet photography and writing. The photo samples are presented in galleries, either featuring a certain production, a performance or a dancer. The Dance writing section lists the articles, reviews and interviews that I published in various dance magazines. Although originally started in 1999 as a website dedicated to Russian ballet, with the focus on the Bolshoi and Mariinsky companies, several circumstances have led me to adjust the scope of these pages. This regrettably includes the deletion of several sections, but new ones will gradually replace them. 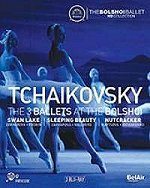 Needless to say, Russian ballet will continue to receive a lot of attention in photography and writing, but some of the information previously contained within these pages will have to be retrieved from the theatres' own websites. For Ballet Lovers Only is a non-commercial website. It is dedicated to the dancers and all who helped in making it possible. It does not sell the photos, or any other items shown on these pages. All original photography featured on For Ballet Lovers Only is copyright © Marc Haegeman and may not be published, downloaded, reproduced (incl. on blogs, Facebook and other social networks), distributed or sold without the expressed written permission of the photographer. For all questions, suggestions, or comments about this site and its content, please contact us by e-mail. © 2000-2019 Marc Haegeman. All Rights Reserved.